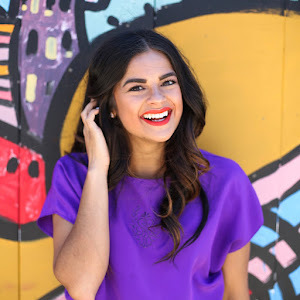 perfectly Priya's 10 Wardrobe Essentials | Priya the Blog | life & style in Nashville & beyond! I've always been fascinated by lists of people's favorite items in their closet; the workhorses, the items they can't live without, the ones they'd save from a burning building, etc. etc. I think the mystique that comes with it, for me, is that at any point, you could re-set or re-start your wardrobe, using these pieces as a springboard. 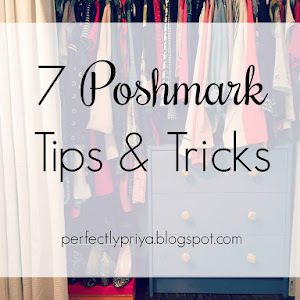 So when I got to thinking about what my 10, favorite, most reliable, perfectly Priya pieces in my closet were- it was actually quite easy! These 10 pieces jumped off my blog as the quintessential items that make up my personal style. I actually loved putting this post together. *Disclaimer: some of these are really basic, duhs, that I can almost guarantee would be on your list as well. And that's okay- classics are classics because they're classic. The real fun part was choosing the items that are a little different, maybe off the beaten path, but distinctly me! I'm now on my 4th pair of these exact pants- the Old Navy Rockstar jeans (although these days I'm partial to mid-rise!) Why I ever thought I could live without black jeans is beyond me. They're the cool cousin of black slacks, appropriate, always; dressy, and casual. I don't go on a trip without them. I've styled them maybe 100 times on my blog, which is reason enough for them to top my list. Because let's face it, coat weather is gloomy weather, and you're probably wearing all neutrals underneath anyway. A brightly colored coat that fits well is the easiest way to feel chic and put-together in five seconds. The rest of your outfit is basically irrelevant at this point. This chartreuse "wool" one was my favorite until I randomly lost it? Love ^ this uber girly option from H&M (a total impulse purchase!) too. 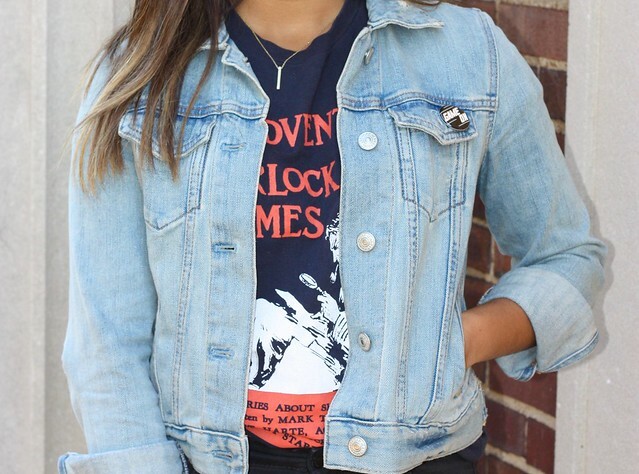 I joked at first that I "never leave home without" my jean jacket, but then I realized it's totally true! You've heard me talk about how I got this jacket and how long I've had it too many times, and I even did a full remix post with it one time. Jean jackets are the quintessential timeless piece, and so relevant now, when casual, model-off-duty, street style IS high fashion. Just now writing this post, I can confirm that it is my most blogged about item. It truly keeps getting better with age. By this I really just mean a pant option that isn't denim (I didn't even mention jeans on this list because DUH they are the biggest no-brainer essential.) 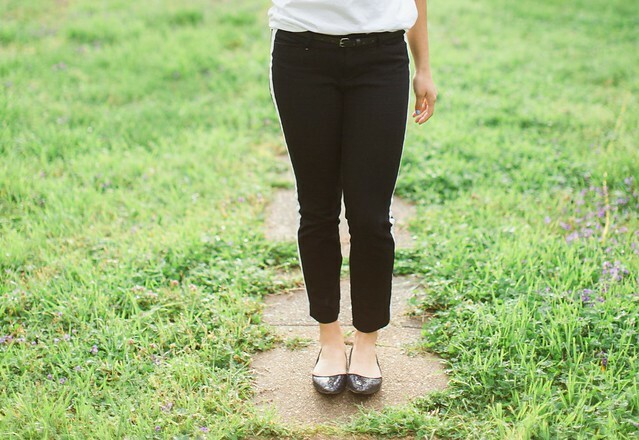 Whether your lifestyle calls for "slacks" or not, you will find yourself utilizing a non-jean option. A skinny black pant is eternally chic, a tuxedo twist takes you out of office territory, yes you can wear cargo pants, and I have worn the ish out of my "lucky" emerald green brocade pants. 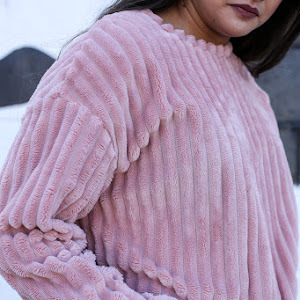 I've basically excused myself forever for buying neutral/cream/blush/tan sweaters whenever I find them, because they are extremely versatile and the ultimate layering piece! Year-round, they are the perfect tagalong to the office, on a plane, or an evening out. In colder weather, swap a neutral cardi or sweater for a blouse for a cozier outfit. Bonus that they work on top of any dress or skirt you could dream up! They have completed many an outfit on the blog. Ah, the knit dress. Aka the "day dress", because you can wear one all day long. For example, the day ^ this photo was taken was a Saturday I spent at a birthday party, then running around with friends from out of town. 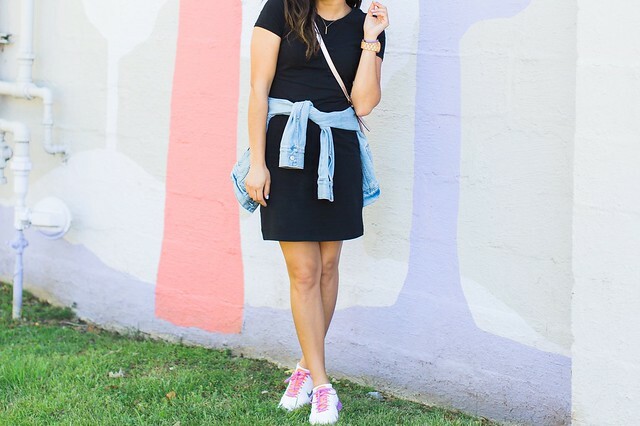 Dresses like this are the perfect solution for when you know you'll be going all day, but still want to look cute and put-together (I always freak a bit getting dressed on those days!) In 2016, they come in every color and fit (all hail the swing dress); I buy mine pretty exclusively at Old Navy, but you can get them nearly everywhere. I've worn tee shirt, fit & flare, and swing style knit dresses around here before, and never leave home without one. Obviously you need t-shirts and button-ups forever; but as I've moved from a very casual student wardrobe to a casual professional one, silk blouses have become a go-to. They seem to me like the insta-luxe cousin of a button-up, that look just as cool and classy tucked into jeans or a pencil skirt. I've got them in stripes, solids, short-sleeve, and long-sleeve and will probably keep on adding to my collection. Leggings- the chic way to wear loungewear- am I right? In the year 2016, I believe you can wear leggings as pants- I opt to keep my tush covered, and in the event of a ^ real outfit ^ (to work or anything other than hanging around/running errands) I opt for velvet, ponte knit, or "active" type leggings, to take it up a notch from your basic knit. Wear them responsibly, ladies! You knew this was going to be on the list, right? I've blogged extensively about my love for graphic tees (Graphic Tee Week / Graphic Tee Time) and, truly, I just can't get enough! They are like candy for me, the random-er, the better. 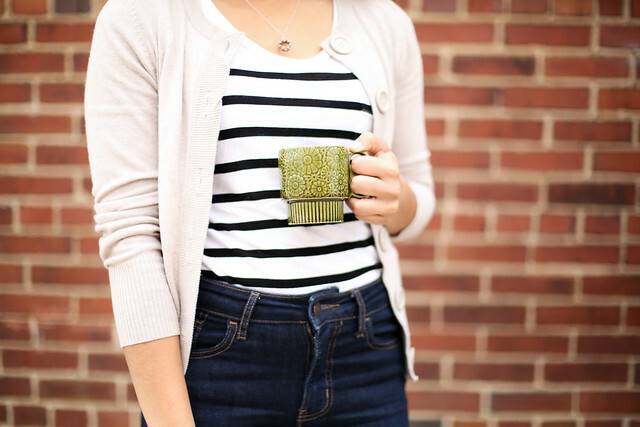 ^ This outfit ^ has to be one of my favorite instances of styling a graphic tee, ever. It's too easy to wear a colorful, fun tee and look like you're still in high school; but this hit the nail on the head for how I want to wear tees as a young professional. 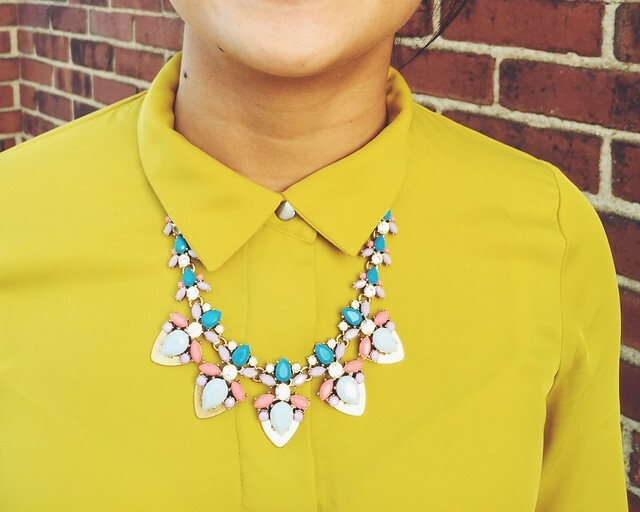 Dress 'em up, dress 'em down, but always have a few in your closet to show off your favorite things. Once again, you can substitute the skirt silhouette of your choice here- and mine would be full! I've been a skirt girl since before I was a dress girl, basically since I started dressing a little girlier (middle school?) Since then, I haven't been able to resist a full skirt in bright print. Something about them makes me feel instantly put-together and feminine. I love 'em in floral, denim, pleated, & patterned! Here are all 10 items in one handy image for you! 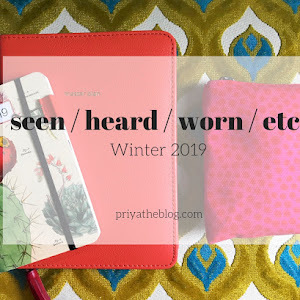 **11. everyday jewelry** Bonus that's a teaser to my follow-up post, perfectly Priya's 10 Essential Accessories. Accessories can be overwhelming to me. Usually they are an afterthought when I'm getting dressed, and I just don't have time to think through them. In an effort to combat this- I've put together a standby "everyday jewelry" ensemble that I can put on without having to think. I go through phases of wearing certain stud earrings (my Kate Spade ones have been a favorite lately), a simple necklace (typically my crown) and my JORD watch. This is another super simple way to keep yourself feeling put-together. 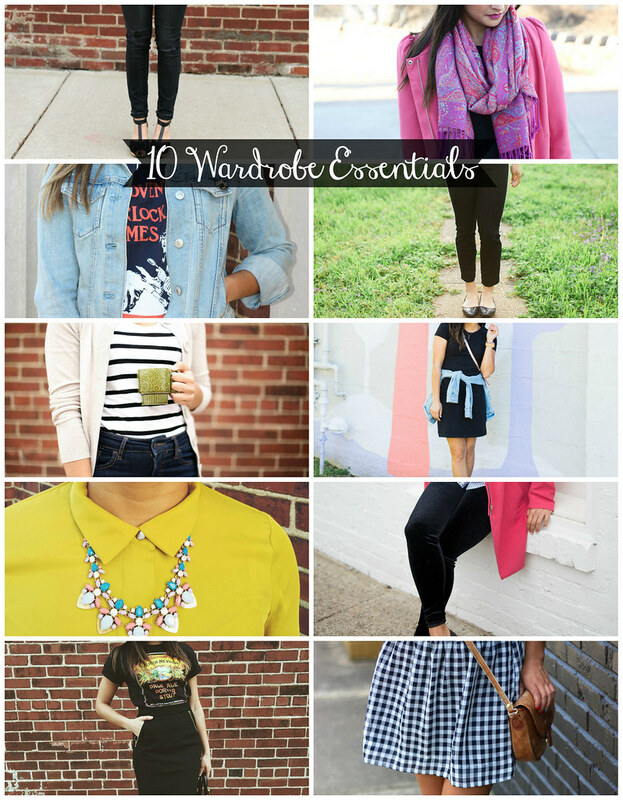 So there you have it- the ten pieces in my closet I can't live without. What makes up your 10 essentials? Anything I'm leaving out? 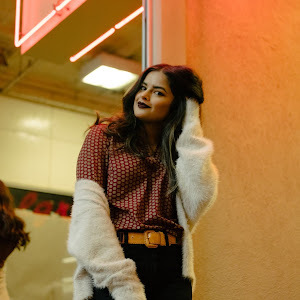 If you've ever written a similar list, leave me a link, I'd love to check it out!